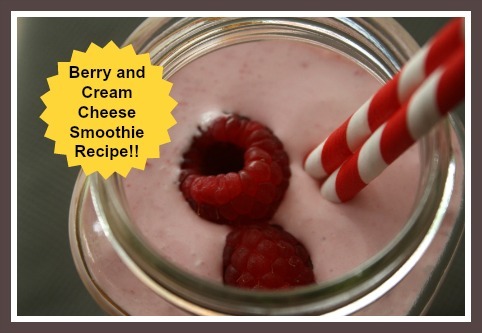 This Raspberry Cheesecake Smoothie Recipe made using cream cheese, is second to none! 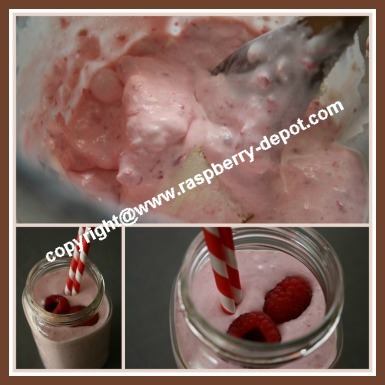 Make this smoothie /shake and savour the fresh taste of lemon raspberry cheesecake in a scrumptious raspberry drink! 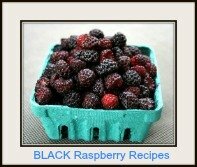 This recipe will work equally as well by substituting blueberries or strawberries in the place of the raspberries, or use a combination of berries! WHAT a berry good idea! He said it was "fabulous", and tasted like "more"! 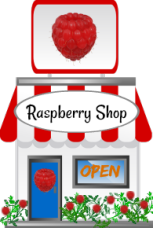 *Keep a few fresh raspberries for garnishing the smoothie. In a blender, combine all the above ingredients. Blend until smooth, and garnish with a few fresh raspberries. Makes one large or two small smoothies. 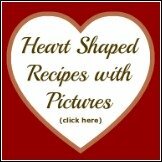 If you are like me, you may have many empty canning (masonary) jars, of different shapes and sizes, in your kitchen. These jars make cute drinking glasses for smoothies and shakes. These tumblers also offer an eco-friendly alternative to expensive store bought tumblers. The mason jar is already a wonderful platform for a tumbler, it easy to clean (dishwasher-safe), made of heat resistant glass, cheap and durable. Add a decorative straw, and you have a unique presentation of a favourite summer smoothie drink! Taking your smoothie or shake "on the go"? No problem, just add the lid and ring, and ... presto ... it's ready to go where you are! Having fun and decorative straws to compliment the drinks you serve, especially for kids, is a fun way to make it "special". Smoothies are a great way to encourage kids to eat their daily fruit requirements. Decorative straws are also fun for adult parties and get-togethers for special occasions. Many of these items can be purchased at your local shopping stores, or you can purchase them online from *Amazon.com, and, in most cases, have them delivered right to your door. 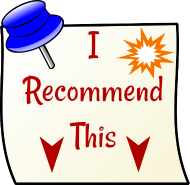 Click on the images for more detailed product information and to the customer product reviews. For the most eco-friendly straw choice, check out the cool stainless steel straws in the links below. Now, let's get to making this scrumptious Cheesecake Smoothie Recipe! This Raspberry Cheesecake Smoothie is Second to None!